People often don’t think much about life insurance until after they need it, and nobody really likes to talk about insurance, period. But it is something that should be considered as part of a preservation of capital—keeping your money yours. 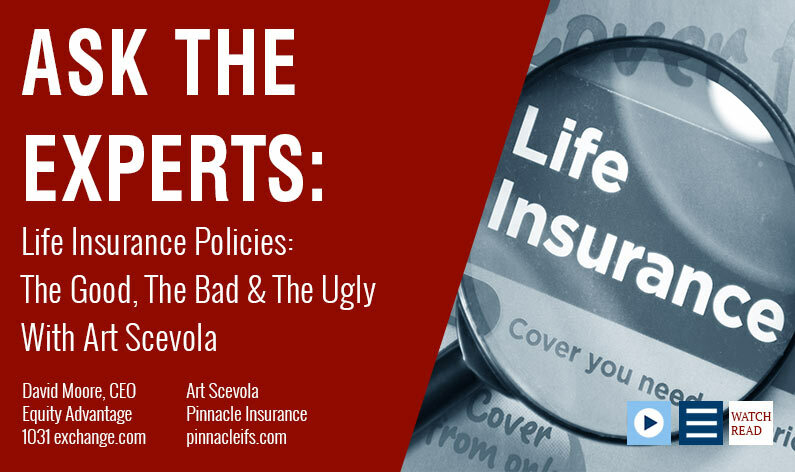 David Moore of IRA Advantage talks with Art Scavola of Pinnacle Insurance about life insurance policies as a financial tool and putting a team together for estate planning. Art Scavola: Life insurance has been a component of my business since 1972, so I’m an old timer in that respect. My basic thrust to try to help advisors using my background, experience, and current affiliations to help solve particular problems that come up when you’re successful—people with high net worth, people who own businesses, and those engaged in charitable planning wherein life insurance is either already a component or may need to become one. 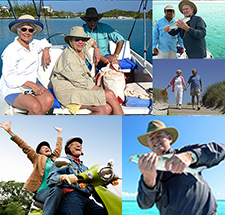 This type of planning means navigating the channels of not only tax law but economics, and understanding the type of life insurance that fits a particular solution. These issues tend to bog people down and cause them to throw up their hands in surrender. I try to help with ideas, communication skill, and insight into navigating the particular companies and organizations out there that specialize, as I do, in working with people who have a high net worth. David Moore: But there are a lot of opportunities out there that people may not be aware of. We work with a lot of 1031 clients, and life insurance doesn’t come up as an investment in that context, but it’s something those clients might need for estate planning purposes. Art Scavola: The main thing to remember is life insurance is just another financial tool in the toolbox. It’s not a panacea. It’s not something that fits every situation. But when it does fit, it’s one of the unique products because it represents something called discounted dollars. And if I need dollars to be delivered to a particular place to help offset a problem, and the problem could be everything from replacement of income if I’m a 30-year-old to paying $5 million in estate taxes when I’m somebody that’s got a big, successful business interest. Life insurance provides some alternative solutions, and it needs to be examined. Art Scavola: By the same token, we’ve reached a point where life insurance, in some cases, is an asset that’s what we will call a hidden asset, meaning that even in the case that all it was ever going to be being used for was protection against such things as I mentioned, it now becomes less important because I don’t need the protection. For instance, in the estate tax reform we’ve just had. Do I have to use life insurance to pay estate taxes at a substantial discount? Who knows. At this point, we have a six-year window. There’s a lot that can be done for people who would otherwise be in the estate tax zone, so to speak, that either through the operation of the numbers or through other planning, that no longer will need that life insurance that’s sitting in an irrevocable trust or in some form of a family partnership. I’m not saying that it’s bad, but it’s an asset. David Moore: Can you explain a bit more about that six-year window? Art Scavola: With the most recent tax reform that went into place in 2018, we know that every taxpayer citizen has a unique amount of dollars that are protected against the estate tax that are transferable at death. Now, we know between spouses there’s no estate tax. But what’s interesting is individually, we’re now over $12 million, which doubled, and so that makes 24 million-plus for a couple to be able to transfer to a next or even a further generation without the imposition of federal estate tax. Now, that is not to say that the states have conformed in any way, because there’s still state tax. Oregon will collect over a certain amount of asset value, and you always have to plan some of that. So keep in mind that federal estate tax is one thing, not all states follow that. David Moore: It’s important to consult with the appropriate professionals as you make planning decisions. We don’t sell investments or give investment advice here, and so it’s important to consult with investment professionals as well as tax and legal experts. Art Scavola: I respect the process of working with people who have been successful. When I say a team approach, no one person on the team typically can provide all of the ingredients for a successful plan. Some of those ingredients come in the form of advice that is paid for (either by the hour or on a project basis). Some come from products, and certain products carry different prices. I think it’s critical that if there are products that need to be a part of a solution that you have capable and wonderfully well-positioned people that have some independence and can give you advice. When you’re putting together a team, it’s important to consider all the angles and also to look for those who have been successful.